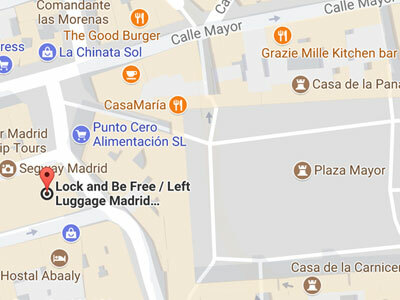 Keep your bags in the center of Madrid (gardens) and enjoy the city! 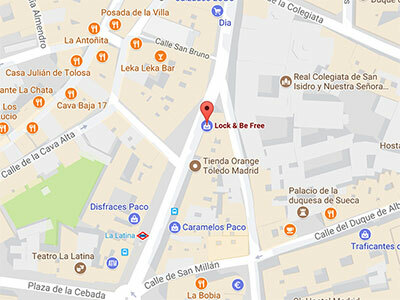 Save your bags in the center of Madrid ( calle Jardines , 11) and live the city! 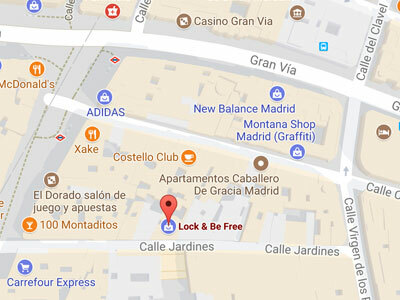 Included in the price of your baggage allowance you can access endless services within our local of Calle Jardines, 11 in the heart of Madrid, 5 minutes from Bank of Spain, Seville metro, Gran Vía, Plaza de Cybele. In addition to leaving your suitcase in Lock and Be Free you can charge your mobile whenever you need it. In our installation of Calle Jardines, 11, you have at your disposal chargers for any type of mobile or tablet, and you can charge your device without paying anything, free. Ask our team.